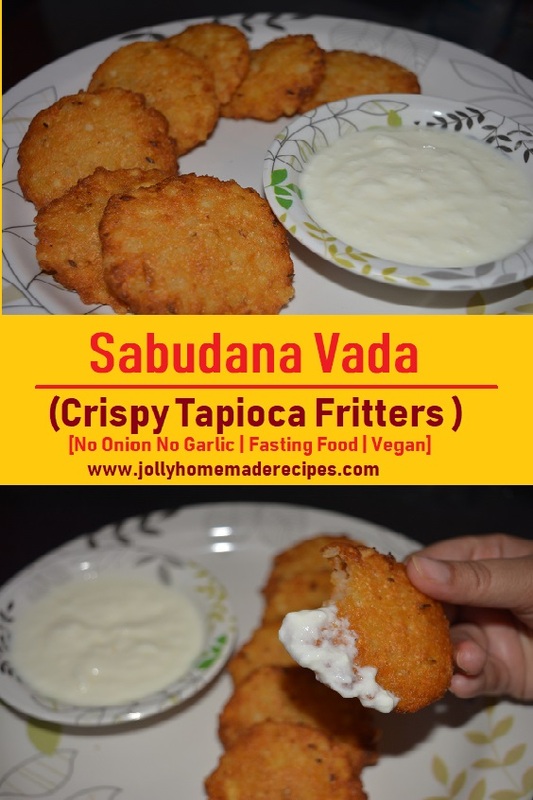 How to make Sabudana Vada for fasting(vrat) - Sabudana vada is a crispy yummy snack made by deep-frying spiced sabudana and potato cutlets.. 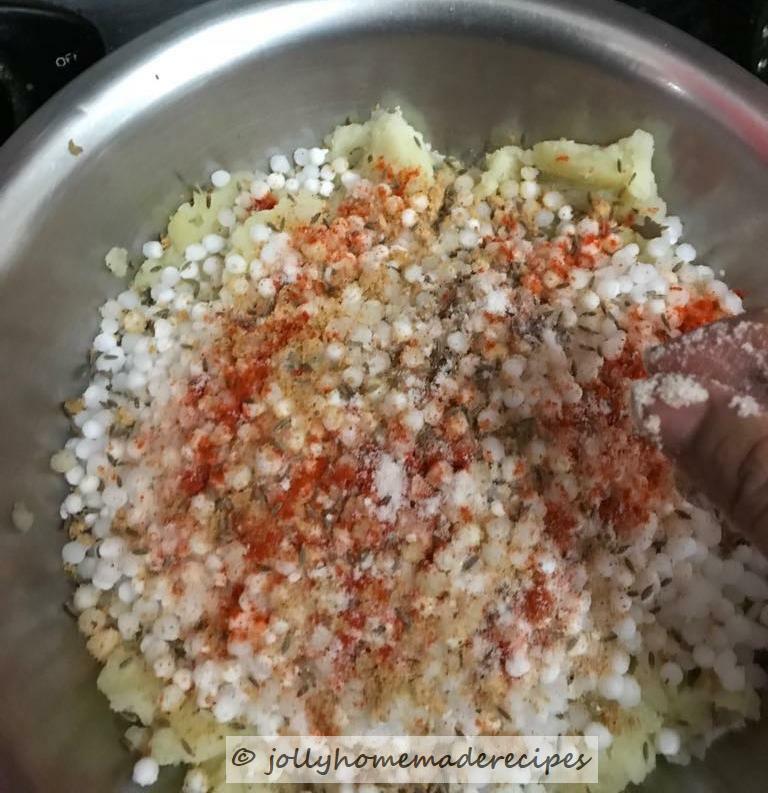 This one recipe is often made during fasting times(vrat). Sabudana (also known as sago or tapioca) is one of the most common ingredients used for making recipes for vrats during festivals like Navratras. Sabudana cutlets are also called Sabudana/Tapioca tikki, or sabudana vada is a traditional deep fried snack enjoyed all around the country. Since tapioca is gluten-free, it is commonly consumed during fasting period. 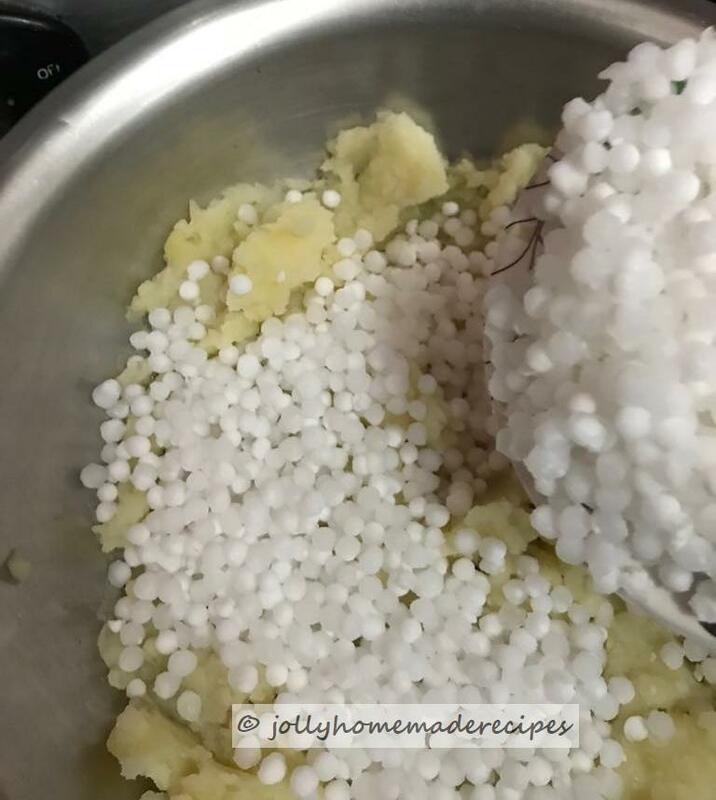 Be any auspicious occasion, Navratri, Mahashivratri or Ganesh Chaturthi, tapioca is one of the favorites because they are light on the stomach, easy to digest and provides energy. This is my mom's recipe, she usually made it during navratri fasting times(the Hindu fasting season). And that is what I am going to share with you in this post today. Sharing some info about this festival..What is Navratre, what we do during these days and what food items we prepared during navratre fasting times ? Navratri - This is important festival of Hindus, celebrated with lot of enthusiasm and excitement all across the country. It's a "Nine Days Festival" and it is dedicated to nine forms of Goddess Shakti. We do daily worship of Durga Maa (morning and evening)..Before starting pooja we offered new Chunari on Durga Maa and kept Panch Mewa (5 dry fruits) or Mishri( small sugar cubes) or fruits as a prasad. There are some rules of food items during fasting, which we need to follow it..
* Dry Fruits, Fresh fruit salad, juices..if u r drinking juice outside home then make sure they don't add salt in it. For this Navratri, I made this Pomegranate Granita in which no salt only sugar and water with squeeze of lemon juice in it and its perfect summer treat to coolant our body and perfect party dessert..I really enjoyed it on my first Navratre Fast, So I wanted to share with you all. No doubt the fried way is more crunchier and munching way of enjoying vadas/cutlets but ya its little more calories than other shallow fried. 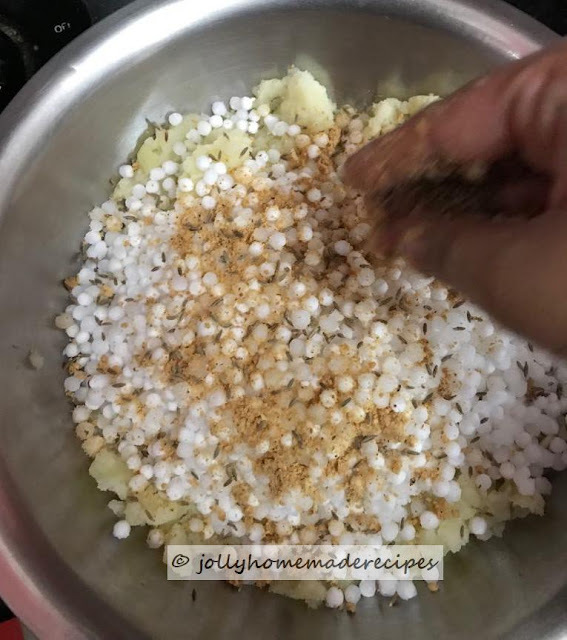 As this is a Navratri recipe, sendha namak is used in making of these Sabudana Tikki's. Peanuts adds a nice crunch to this scrumptious snack recipe. You can also make this delicious snack recipe on special occasions like kitty parties, office pot lucks and even on picnics and road trips. Sabudana Tikki's can be packed easily and are non-messy. Pair this delicious tea-time recipe with hot piping cup of tea or coffee. 1. 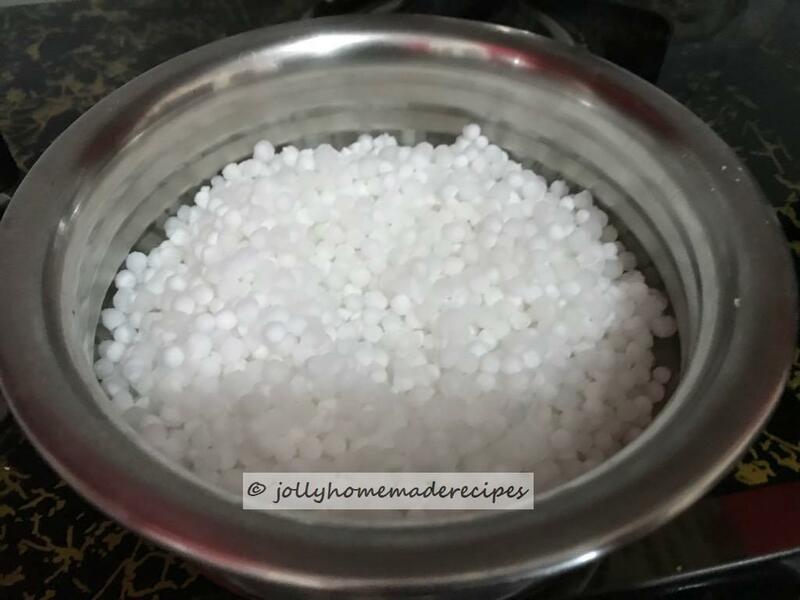 Soak 1 cup of Sabudana (Tapioca) in water overnight for 5-6 hours. When they have become soft, drain all the water using a colander. 2. Boil, peel and mash 2 potatoes. Add them to a large mixing container along with the sabudana. Add cumin seeds. 3. Roast and coarsely grind 1/2 cup of peanuts. Add these to the mixture as well. 4. Add Red Chilli Powder, Cumin Powder, and Salt. 6. Put 1 drop of oil in your palm, so the sabudana mixture don't stick on it. Divide them into small lemon sized portions and shape them into round flat patties. 7. Fry the patties in medium hot oil till they turn golden brown. Do not set the heat to a high setting, otherwise the vadas will not get cooked properly from the inside. 8. Drain the excess oil on an absorbent paper. 3. Sabudana Vadas are ready. Serve them hot with Curd, Coriander Chutney or Tomato Ketchup. Perfectly made sabudana vadas.. love them. When not fasting I add more ingredients to them. Yummy snack. Sabudana Vadas have become an integral part of Navratris. Your explanation on how to make this popular snack is crisp & detailed. The Vadas look perfect & mouthwatering. 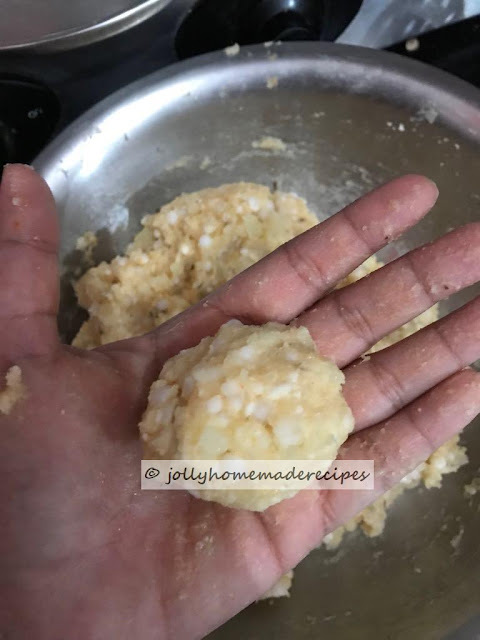 These sabudana vadas are looksig so crisp and mouthwatering, I am literally drooling over here post, dipping it in cuts its just too tempting. 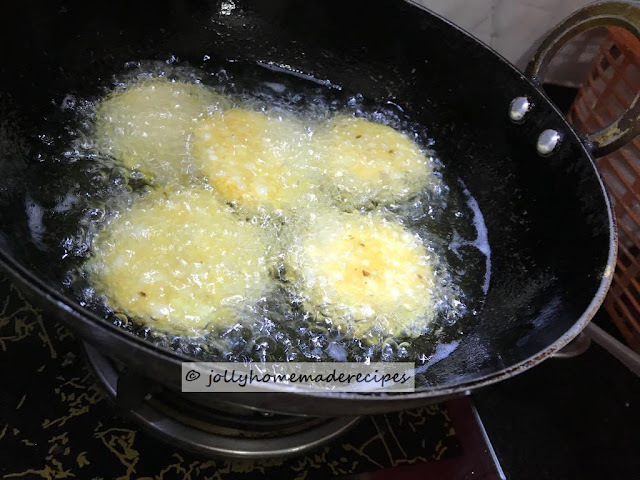 Sabudana Vada looks so crunchy and crispy.Your step by step process shots are really helpful for me a I never tried it before. The vada look simply irresistible Jolly ! Tempting share ! Such a nice and delicious share dear!! 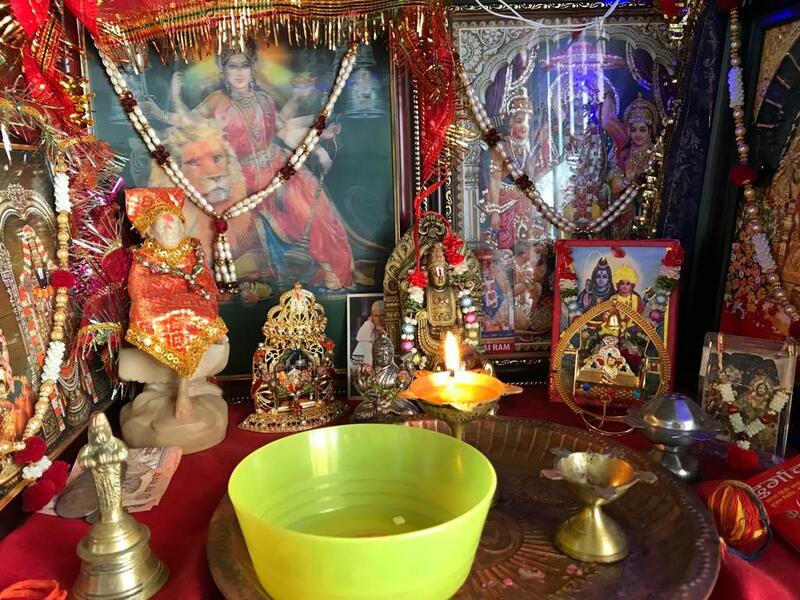 So nice to know about Navratri traditions! Love sabudana tikki, especially with lots of peanuts!!! Crispy, crunchy and so scrumptious! Sabudana vadas are so famous here in Maharashtra, and loved by one and all during upvaas. It is a must dish during those 9 days. Your Vadas look so tempting. 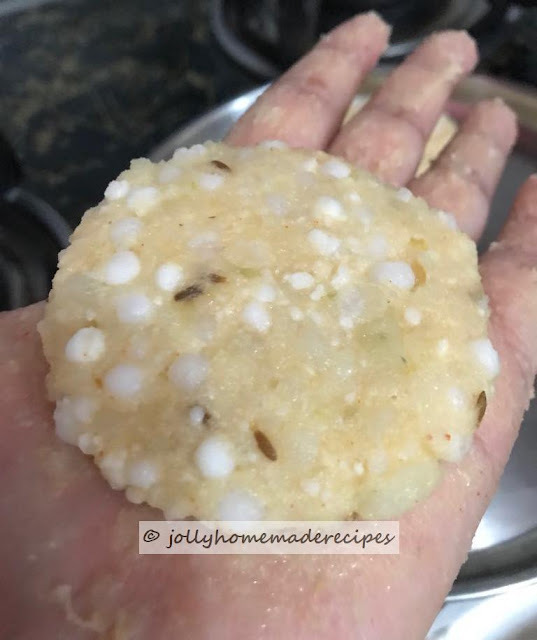 Sabudana wadas are tasty. Yours are looking so crisp Jolly. It's making me hungry now. My favourite!! Love it Jolly. Vada looks so crispy and yummy 😋 never got chance to prepare it. After seeing your recipe,now I need to give a try. Thanks for the recipe. After visiting your blog, I developed a taste for sabudana vada. It's delectable. Thanks for amazing & easy recipes. Check out this mouth-watering quick and easy falafel recipes.